Not sure where the $5,200 price was quoted, but the Joseph Audio Pulsars actually retail for $7,700 (without stands). When I was in the room listening I asked the person that was running things and that is what he told me. A big dream by John, AJ, Bart and Mike to host this regional audio show became reality this weekend. A sold out event with 40 rooms in a sunny and warm Tampa; and, free admission! Excellent support and commitment from a number of audio companies, retailers and the press supported the vision of these four guys. And, what a terrific regional expo the 2019 Inaugural Florida Expo. Friday and Saturday were very busy (I did not attend on Sunday). Exciting to see young and old as well as a lot of ladies attend. - MBL - Visited several times. Depending on the music being played, it sounded very good to exceptional. - VAC/VS - This was a wow room with lots of gear and multiple VS speakers. Sounded better on Saturday. Fremer’s presentation highlighted the impressive capabilities of these two companies. - Play It Again Audio - Avangartde Trios with Berning amps, Soulution pre, EMM DAC and Resolution Acoustics treatments. Very impressive. - Doshi/Joseph Audio - Very musical presentation. They manage to put together great rooms in every show. Visited multiple times. - Stereo House - The TAD mini monitors with the Wolf server and Ayre electronics made for an impressive sounding room. - AVM/Raidho - They had two demos. My favorite was the AVM integrated with built in DAC driving the Raidho D1.2s. 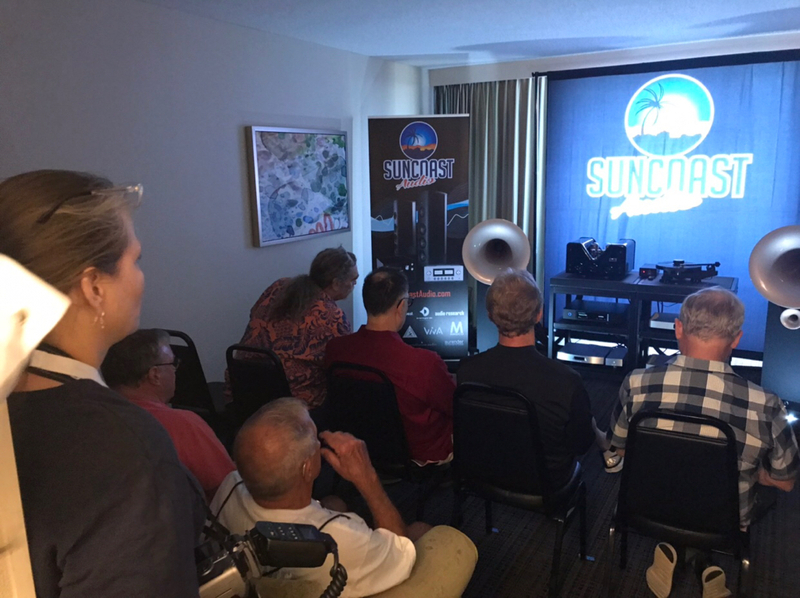 - Suncoast (Room 1) - The Avantgarde Uno Finos driven by the Viva integrated, Audender music server, MSB Premier and Shunyata cable was a hit. Very busy! 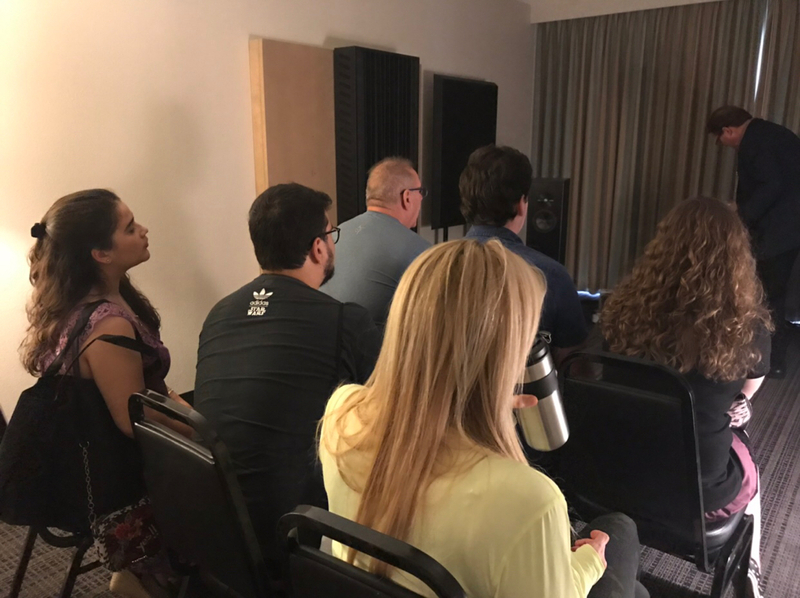 - Suncoast (Room 2) - Magico, Luxman, Lumin was also impressive, Peter had a full room. - Anthem/Paradigm - The best I’ve heard their top of line Persona 9 speakers. The ARC correction software in the Anthem pre helped tame the speakers a bit. - JBL/Levinson - This room was not acoustically treated but the newly revised JBL L100s were a lot of fun driven by the new Levinson integrated and music server. - ARC/Wilson - The new Sasha DAWs driven by the 160Ms sounded with great promise at times. Unfortunately, the room was not properly treated. Peter M. is always a great musical director. - Bórresen - The stand mounted 1s can play loud. I found the tweeter a little hot. - Martin Logan/Parasound - Not a good showing. - DSA/VPI/Spendor - Inconsitent but showed good promise. - Harbeth/Luxman - Nice musical presentation. - Merrill/Muraudio - Very transparent electrostatic in a very modern cabinet design. Unfortunately, their server stopped working (network issue) while I was there. - AJ Soundfield - Mini monitors were very impressive. At $1,500 these bass active monitors were quite good. 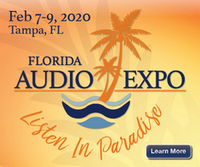 My gut tells me the FL Expo will be larger in 2020. I spent some time in the Magico room. That was probably the best I heard Magico's sound at a show. I would have to say they pair well with the Luxman equipment Mike. Wish I knew it was you when I was there. Packed rooms. Amazing first day turn out. Lots of young folks too! Our marketing efforts for targeting young folks paid off. Those speaker in the Suncoast room were the first horns I have ever liked. What were they? Welcome to the forum Martin, thank you for joining. The speakers were Avantgarde Uno Fino. ...Very disappointing for me was the large Martin Logan room -post #49. I am a big fan having owned their speakers for 20 years or more. The Neolith's sounded very harsh to me. There was no acoustical treatments for them and I don't know enough about the Parasound electronics they were paired with to say it was not a good match. If you are displaying your Flagship $75,000 speaker I think more could have been done for the presentation. I listened on Friday and again Sunday and the sound was the same. I will readily admit I am taking it personally but, those speakers should have sounded stunning. As I indicate in my sig, I also own Martin Logans; I’m on my 3rd pair since 2005. I have never heard MLs sound good at any audio show, no matter the model. In fact, when ML first introduced the current generation ESL xxA series at the DC Audio Show, they sounded terrible. The ML reps said they were aware, but just wanted to put them on display. I get the impression that they rather not bother trying to get the speakers dialed in, considering it is a strange and sub-optimal environment. That said, I ran my Vantages and current Spires with Parasound JC1s until I replaced them with my current Brystons. I still miss the JC1s, as I loved that Class A output with the MLs. In fact, ML has often displayed its speakers with JC1s over the years. I do agree that the Neolith’s price should compel them to try to set them up properly. Can anyone tell me what speakers are pictured in post #10? For some reason I am unable to quote the post. I really liked their sound but neglected to note what they were.